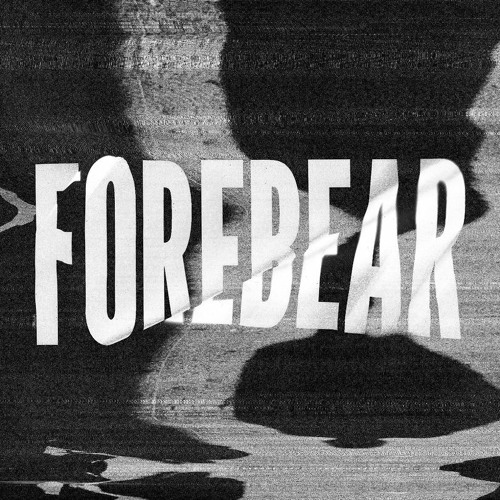 Taking cues from cinematic and classical influences, Forebear creates and molds a surreal listening experience with solos that are sometimes brooding, sparse statements; and other times lyrical, fleeting phrases. Forebear is Scott Goldbaum: Vocals / Guitar Mike Musselman: Drums Molly Rogers: Viola / Vocals / Keys Nick Chamian: Bass / Vocals Produced by Scott Gordon & Forebear Additional Production by Martin Beal Recorded by Scott Gordon & Martin Beal Recorded at Sage & Sound Studios in Hollywood, CA & Clockwork Studios in Los Angeles, CA Mixed by Chris Sheldon Mastered by Adam Ayan at Gateway Mastering Art Direction & Design by Augusto Piccio Management: Ilya Shapiro (Atuned MGMT) www.forebear.la All songs written by Forebear Published by Wise Cub Music (ASCAP), Falcon 49 (ASCAP), King Latifa (ASCAP), Character One (ASCAP) and Gorn Songs (ASCAP). ** "Pigeons Eating Glass" Produced and Engineered by Aron Fromm Mixed and Mastered by David Eaton Assistant Engineer: Eric Bard Cellist: Leah Metzler Published by Wise Cub Music (ASCAP), Character One (ASCAP), Falcon 49 (ASCAP), King Latifa (ASCAP), and Redfromm (ASCAP). Special thanks to Barbara Gordon, Steffan Fantini, Marc Fantini, Wesley Michener and Phil St. Germain.